With dramatic increase in the mobile technology, the mobile cellular phones have played a significant role in the several fields particularly, education, military, business and health. The deployment of mobile phone in the Government has been of high interest of research community to improve fundamental functions, efficient information provision and augmenting the quality of service QoS provisioning. A lot of research is conducted for service improvement in Mobile Government(M-Government), but there is marginal research is available for security particularly privacy preserving of M-Government. 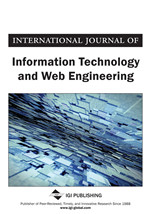 In this paper, the authors propose privacy preserving framework for M-Government to secure an administration interface to avoid possible security threats. The proposed framework is verified using mathematical formulation. Furthermore, the proposed framework is tested using Java Platform. The experimental results confirm the reliability, efficiency and QoS provision of the privacy preserving framework. Phones Governments and businesses-oriented organizations are looking for the special services to provide for the consumers in order to meet their demands at anytime, anywhere. The organizations are also keen to improve the quality of life of their citizens by integrating the information and communications technologies (ICT) with the public services like the public transport, and municipal infrastructure around the world. As this trend causes the increase of the energy consumption and costs (Almiani, Al Dmour, & Abdul Razaque, 2015). The implementation of e-government can establish strong government-public relationship and allow the governments to become more effective and efficient in satisfying their delivery and service functions. This is one of the key goals being faced to the e-government (Abdul Razaque, & Elleithy, 2011). The mobile operators that support the m-government can participate in four key elements of public services, the first one is managing the connectivity of the public service infrastructure for the customers to have an access to the m-government databases and central servers. The second one is data aggregation and data analysis of the data and information collected from several sources to produce new insights that can be used. The third one is the service delivery that transporting the real-time information to people and the technology that will enable them to use, respond and adapt with the public service. The last one is the creation of the customer service interface to provide the customer-supported operations (e.g., web portals and call centers) for delivering the messages and supporting the service to the subscribers (Abrahams, 2009; Kushchu & Kuscu, 2003; Pang, Min-Seok, Lee, & DeLone, 2014; Rony, 2012;Somani, 2013). For transcending the E-government to M-government, there is need of indispensable changes in ICT, so that Government-public relationship can highly be improved. The deployment of Information Technology (IT) in several governmental agencies/departments connects the different sectors/departments and improving the public safety and services. As, polishing the effectiveness of those services, delivery process can be made faster and also reduced the government-public communication cost World Bank, (2001). Currently, most of the countries are highly affected due to rapid automatic change in ICT to M-government. However, the trend of this change could be justified with several ways such as increasing the public services that allows people to enter data into digital systems anywhere. In addition, the decision capability is also much improved and helping in taking the action in organized manner. Furthermore, it provides more services such as improving delivery, lowering the cost and increasing channels for people interaction. On the other hand, it faces some challenges such as lack of qualified persons particularly the group that is deprived of IT facilities due to financial hurdles, elderly persons and untrustworthiness in some societies. We believe that our proposed interactive framework for the M-Government will be of paramount significance for establishing the solid relationship between public and government. The benefits of M-government using wireless and mobile technology rather than traditional one is the revolution of ICT depicted in Figure 1.